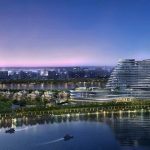 StayWell Holdings and Prince Hotels Inc. has announced that The Prince Akatoki will open its second property in 2019, in Guangzhou. StayWell Holdings and Prince Hotels Inc. announced the creation of The Prince Akatoki brand in June this year. The Prince Akatoki brand complements the wider portfolio of brands managed by StayWell Holdings, as the first luxury 5-star hotel brand in the group’s already impressive stable. This follows the recent announcement of The Arch London acquisition, which will undergo an extensive refurbishment and reopen as The Prince Akatoki inLondon in 2019. The brand-new hotel will feature 275 rooms and four dining destinations for guests to the property. 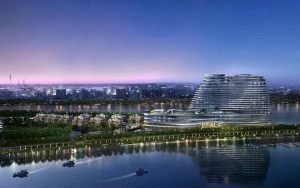 StayWell Holdings, a subsidiary of Prince Hotels Inc. which is one of Japan’s leading hotel and leisure companies,has solidified its expansion plans for the recently revealed The Prince Akatoki brand, announcing the Group’s second international property set to open in Guangzhou, China, in 2019. Refined finishes and pristine manicured landscaping.